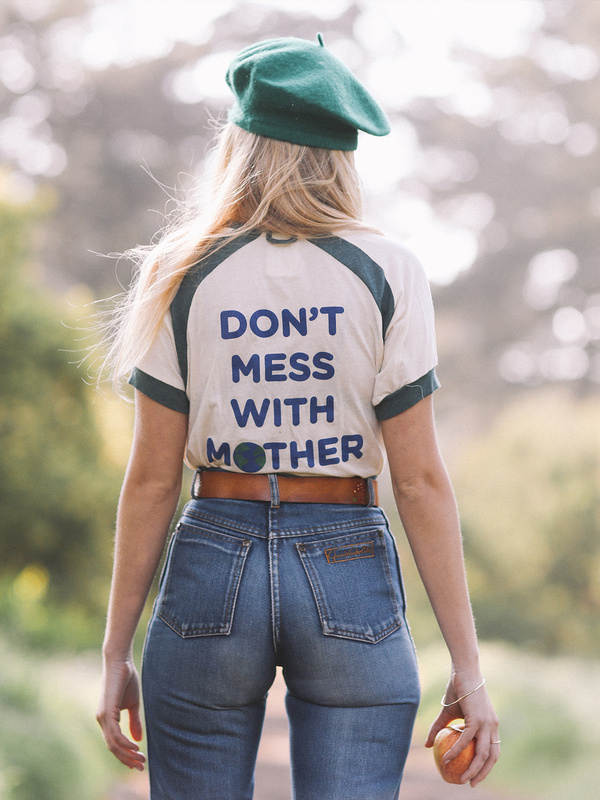 Our bestselling tee in celebration of our Mother Earth. 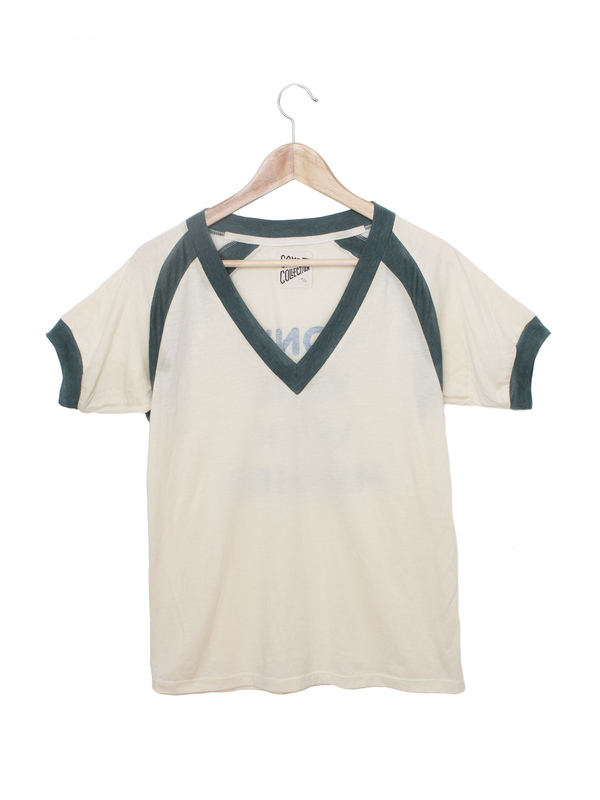 Short sleeve deep v-neck tee. Contrast rib raglan seam panels, neckband and sleeve bands. Locker loop at center back neck. 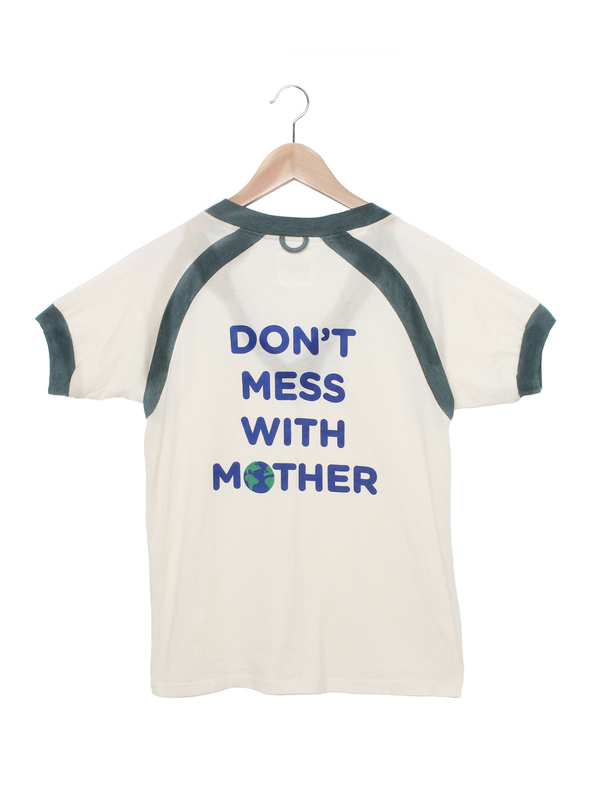 Back graphic: don't mess with mother. Locker loop at back neck.